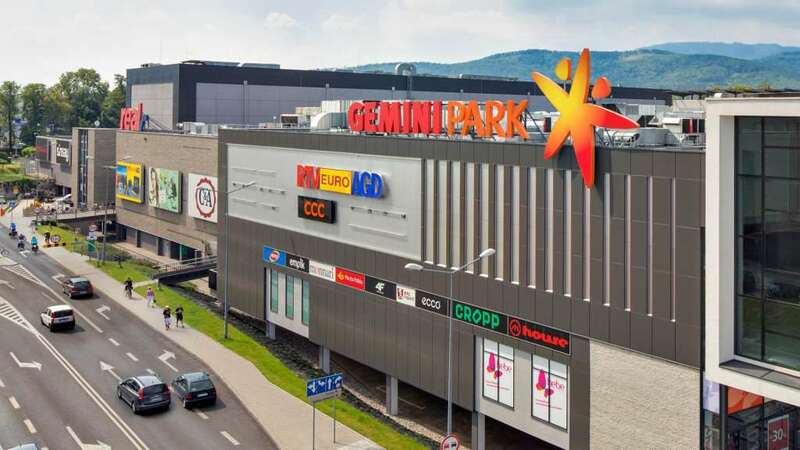 Gemini Park Bielsko-Biała is a modern and spacious shopping mall. Over 40 thousand sqm, 120 popular and renowned brands as well as a convenient parking lot are a unique feature of the Centre. Gemini Park Bielsko-Biała has excellent location and perfect transportation solutions. Particular emphasis is placed on convenience and friendly atmosphere for families with children. Extensive shopping offer, convenient transportation, a large range of attractions for children, as well as comfortable rooms for parents with children, ensure that shopping will go smoothly and pleasurably. In the winter and in the summer, we organise the winter and summer edition of the Gemini Academy, a series of sport and education events at Park Radości. Gemini Park Bielsko-Biała takes particular care about the local community of Bielsko-Biała and its vicinity. We support cultural activities, charities and sports. We cooperate with female and male volleyball teams, BKS Aluprof Bielsko-Biała and BBTS Bielsko-Biała.